The human is the most perfect of the universe. 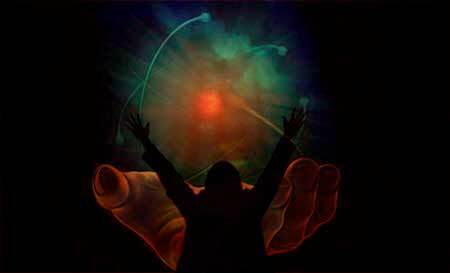 It has a structure that is open to development both in the matter plan and in the transcendental spiritual plan. When you investigate the sciences such as astrology, parapsychology and psychology, you see that human beings have a tremendous weave. When the potential of an idle person is revealed, a magnificent piece of art can be found. Today, when the man who is a prisoner in the plan discovers his spiritual direction and develops his spiritual powers, he can build bridges between the matter and the matter between the matter and the matter, and can exhibit many paranormal abilities that seem impossible under telepathy, telekinesis, astral travel, preconception, premonition, and other areas. In fact, when there are certain spiritual forces and spiritual abilities at birth, why can’t they be used as they are? The answer is simple. False information learned by the lack of knowledge and methods. False beliefs that cannot be made. Everyone wants a lot, but he doesn’t know why he should do it and, above all, why. We all have heard very simple obstacle phrases, in what you will do, why do you want, what it will do for you, it doesn’t benefit you atla but everyone is skipping a point acak the discovery of the universe begins with the discovery of man himself yar the next stop of the current discoveries will be with the transient elements. Because the substance has along with the limits. Beyond matter, it cannot be reached through substance-based sciences, material methods, techniques and ideas. If you are interested in the fields related to parapsychology, you might have to do something, and then you may have given up on the confusion about what you should do and after a while. At least, but not at the moment after a while you give up on the quest to return to the daily life is a candidate. The most important reason for the search is the innate mental effects. It leads you to find something, to learn different things. If you do not have enough patience, effort and effort, the result is dissatisfaction. How tempting can it be to call without knowing if there is an item you lost in a messy room? In this article, we will briefly talk about what should be done. No writing, no information is enough to reveal the ore inside you unless you want to. Someone guides you, tells you what to do, but then requires an effort that is entirely yours. What Should We Do to Improve Our Spiritual Powers? # What do you want? # What would you like to do? # What drives you to the quest? It is very important to know what you are looking for and why you are looking for what you are looking for. Maybe you may not be aware of it, but your subconscious may be misleading you. # You want to take revenge on those who did something wrong by being affected by a film you watched? # Do you want to do something extraordinary for everyone to appreciate you? # Do you want to use supernatural powers in matters that you cannot afford? # Do you want to increase your chances in chance games and get rich? If your answers are related to them, what you are actually looking for is not about developing spiritual forces. You are in pursuit of power that can be achieved in a short time. If you start with these thoughts, you will soon give up and name your failure as, no such things Bu. # Are you seeing constantly repeating dreams that you cannot identify? # The things you see and feel are real after a while? # Do electronic devices in your environment begin to deteriorate after a while? # Do you see things that others don’t see? # Can you perceive people’s minds? If your questions and answers are related to these and similar questions, you should continue to search for at least the reasons. The answers to the questions you are looking for and the sources of the problems are mostly available on the birth chart. How do the effects on your birth chart affect you? What spiritual forces do you have or can you have? This and many other answers can be found on your birth chart. You can use the articles under the Astrology category. By removing your birth chart, it is very important to know which area you have in the Map of Spiritual Talent Locations on the Birth Map and to know in which area you should go. Do not pursue talents. Someone else does it. Focus on your own abilities, not on someone else’s. 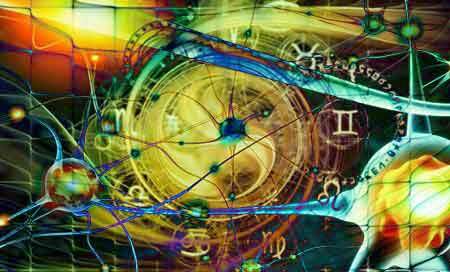 Try to improve your psychic abilities by comparing the abilities you believe to exist in yourself with the positions on your birth chart. No talent can be achieved without reaching the spiritual depth or reaching the spiritual depth. Spiritual depths that you will gain by moving away from the effects of matter will guide you to gain spiritual powers. We may call the depth of the soul to see the bottom of the well. There is no logic to look for water in the unseen well. You should determine the methods to be used in spiritual deepening according to your own characteristics. In general, trans studies, auto hypnosis, breathing exercises, meditation and religious methods have the same results, but they also bring personal results. How is spiritual deepening achieved in terms of being basic? You can do the application mentioned in the article. The image-specific methods, also called transcendental meditation, are open to development and can be tailored to your liking. In parapsychology-related areas, there is a rule that you should never forget ”you have to adapt everything to yourself, to your own spiritual characteristics ır in short, to m identify with yourself ik. Affective, visual, tactile and not mentioned too much of which are more obvious? All of the methods and techniques you use to develop yourself are created according to the perception characteristics of those who create these techniques. The technical visual perception you are trying to implement is created by a person who is obvious and if you have a tactile perception, it is natural that the technique does not work. You can find a large number of tests on this subject, but in short, focusing on the points you most notice in this story, you can determine which perception is more specific. Tı He was sitting on the sidewalk in a sad day, sharing the last piece of hardened bagel with the adorable white cat, and his hands began to bruise from the cold, while the passer-by passed the water all the water in the puddle. He shivered inside … That day was quiet, cold and lonely. They were worried about what to expect. At the same time, the bus coming from a little later was disturbed by a horn sound. I Did you notice more visuals, sounds, feelings, or tactile elements in this text? The most important points in these and similar stories will reveal which perception is more prominent in you. Imagination is an important transition point that carries the substance from the realm to the spiritual realm. When you start to learn more about developing yourself, you will find that the methods used to develop spiritual forces are based on image. The type of perception that I’ve mentioned in an upper clause is an important factor in determining how successful you are in imagination. You should base your images as far as possible on the basis of your type of perception. You can examine the examples under the link Telekinezi, Telepathy and Astral Travel Imagination Studies. The simplest work you will do in this area is to image your application the next day before bed. Every man has his own resistance points. Some are impatient, some can not withstand hunger, some can not be alone, some can talk, some dependencies, can not get rid of some of the work started … What you see as weakness in yourself is the points of resistance that prevent your development. Identify substances that weaken you and prevent you from making a list. Try to overcome these substances one by one. Seek professional help if necessary. You’ll see that every item you’re going to take will make you get great distances from the spiritual. What you eat will also determine what kind of person you are spiritually. Every unnatural product will disrupt the hormonal balance, and the hormonal balance will disrupt the spiritual balance. Eat low and healthy. Learn the nutritional values ​​you need to take from a specialist daily if necessary. Determine your diet according to your own, not general. The needs of living and living will be different with a moving and power-demanding life. One of the biggest problems of those who strive to develop spiritual forces is the short information they will learn, a short word or a special talisman to be given to them. This thought is about the effects of stories and movies on our unconscious. The most important result of this expectation will be sonuç great incongruity Bu. Leave the laziness; Learn and strive. The most important thing about this is that if you do not program yourself, you are programmed by others. Suggestions and imaginations will begin to show their effects within two weeks at the latest. Pay attention to who you share your achievements with. Don’t tell anyone who doesn’t work on the same path, but those who don’t understand you can make all your efforts frustrate and misunderstand and hurt you. Diamonds for you are worthless for others. Spiritual acquisitions only contribute to and gain value when shared with those who know. Based on these 11 items, the development of spiritual forces will be sufficient for later stages. The most important point to pay attention to is personal differences. You can increase or decrease these eleven substances by yourself. The topics on the site are enough to get basic information, but you should always try to get more. Competence is about your spiritual satisfaction. Be insatiable about knowledge. If you have the goal, if your goal is worthwhile, always value the effort to achieve that goal. 〉 Developing spiritual forces is a life-long process. Do not squeeze into a narrow time frame. 〉 If you are a student, use your priority. 〉 Do not perceive the development of spiritual forces as professional acquisitions, but the efforts you make on this issue may cause you to be disappointed. Your goal first is to learn what is happening, to be at peace with yourself and discover yourself. Consciousness is an important force that can trigger the change process by influencing everything. If you prefer to discover yourself and develop your spiritual abilities with sincere and good intentions, you will come up with two important issues. You can find yourself alone, to reach your soul to reach your hunger with your healthy life and the spiritual energy that is important in increasing the hormonal balance and spiritual depth you provide. You will surely see that there is a price for every rise in your life.